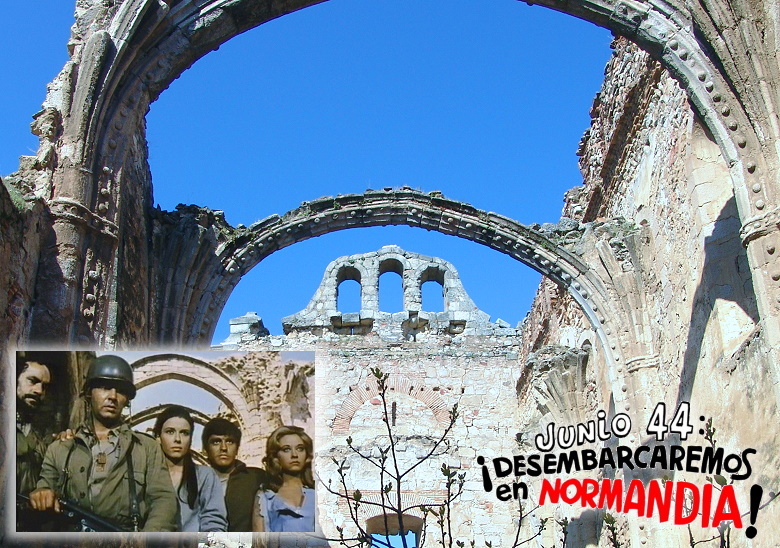 rough Chorizo War Movie Spectacle "Junio 44 - Desembarcaremos en Normandia". 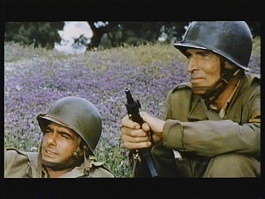 The great Michael Rennie ("The Day the Earth Stood Still") in a Leon Klimovsky Flick! A great cast of familiar faces: Aldo Sambrell, Jose Manuel Martin, Guido Lollobrigida and Michael Rennie ("The Day the Earth Stood Still")! 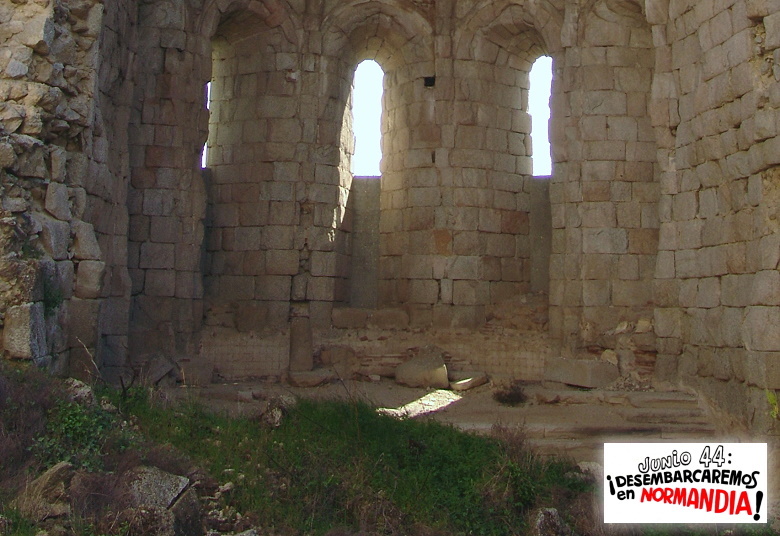 A fantastic "Junio 44" Location is the Monasterio cisterciense de Santa Maria de Valdeiglesias near Pelayos de la Presa. 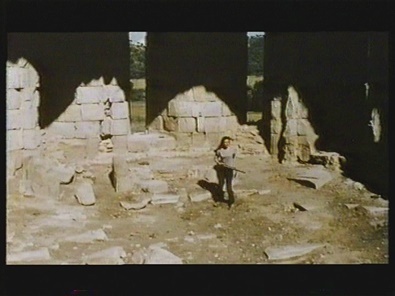 Within a few years back in the 60/70ths a lot of different Movie Productions have been filmed in the Monasterio. 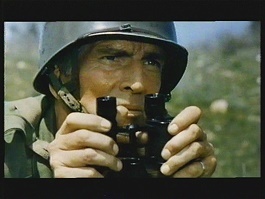 Western and Horror flicks and colorful War Movies. 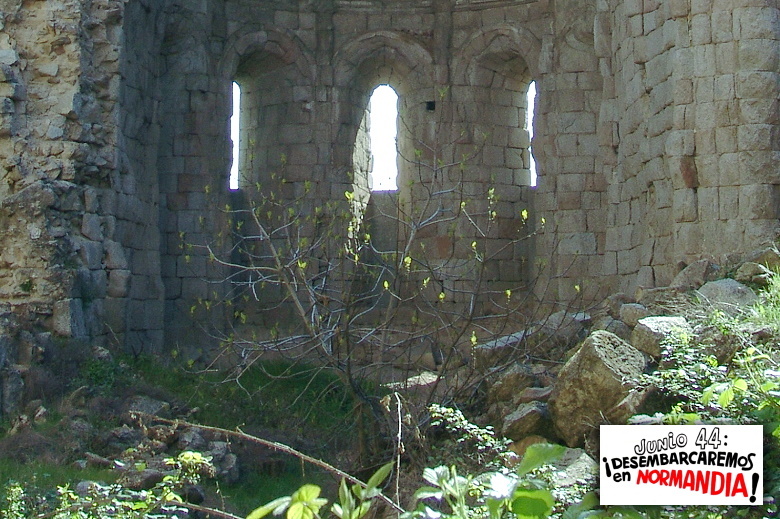 Several scenes of "Junio 44" have been shot around the Monasterio in the "Normandia". 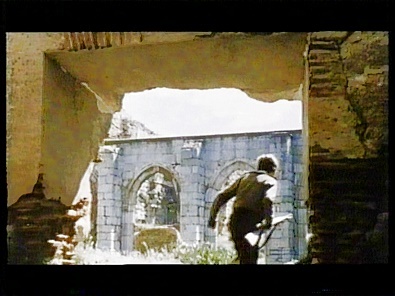 El Patio del Claustro - The Cloister Courtyard, 1968. Comparison photo 2005 - El Patio del Claustro. 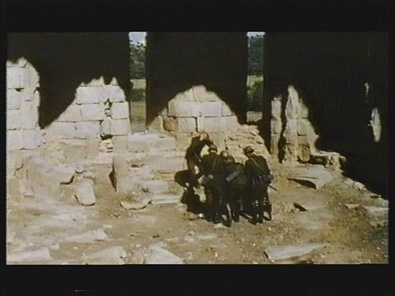 Monica Randall - Puerta de la Sacristia, 1968. Comparison photo 2005 - Sacristy door. 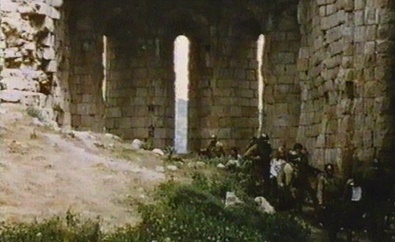 German Soldiers discover sweet Monica in the Capilla Mayor. Comparison photo 2005 - Capilla Mayor. Everyone wants to play with Monica. 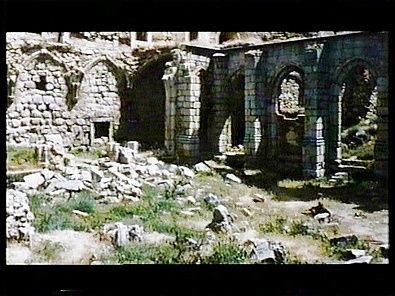 The Central Church of the Monasterio 2005 and in the Movie. Michael Rennie - Abside Cisterciense - 1968/2005. Campanil of the Capilla Mayor, 1968. 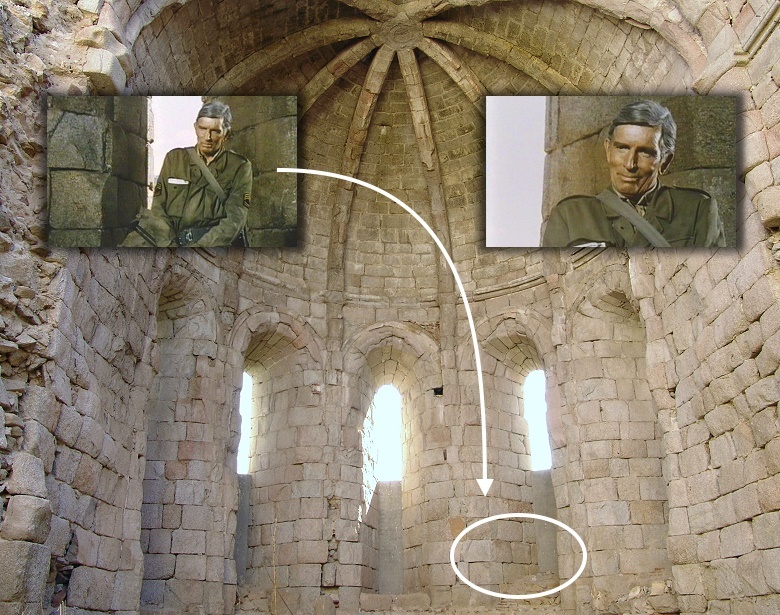 Comparison photo - Campanil of the Central Chapel of the Abbey Church. 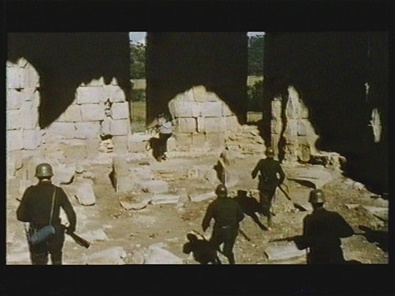 War in the Capilla Mayor, 1968. Comparison photo 2005 - Central Chapel of the Abbey Church. 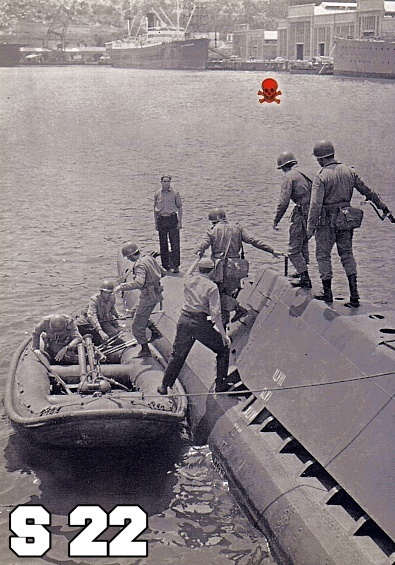 "Junio 44 - Desembarcaremos en Normandia". I found out that the S 22 which we see in the movie was stationed in Cartagena! in the Base de Submarinos de Cartagena. 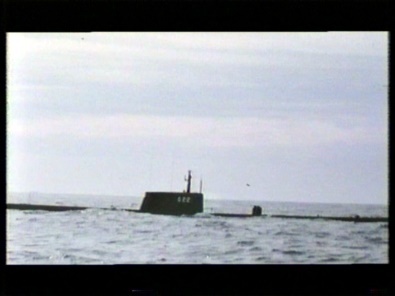 The only information I found was about the S 01 (G-7) which played a role in the german movie "U47 - Kapitänleutnant Prien". 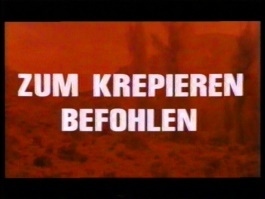 German CS Film "Junio 44" Lobby Card showing a movie scene - It is the S 22. 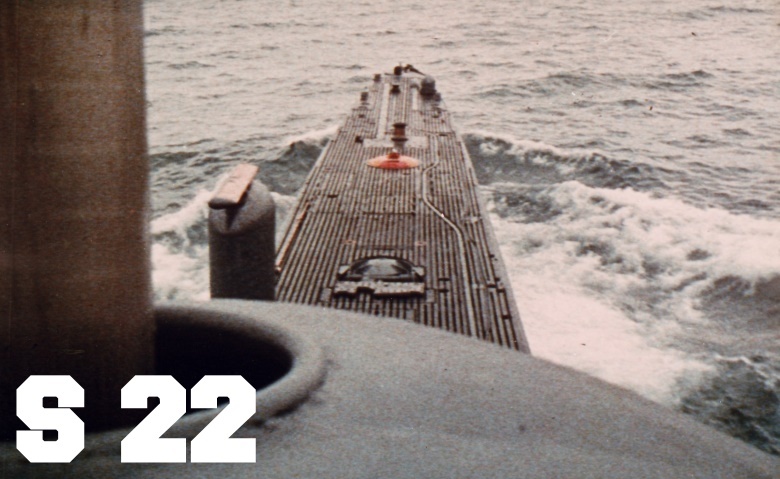 "Junio 44" Movie scene - The Stern of the S 22. German CS Film Lobby Card in fine quality. the rubber dinghy. 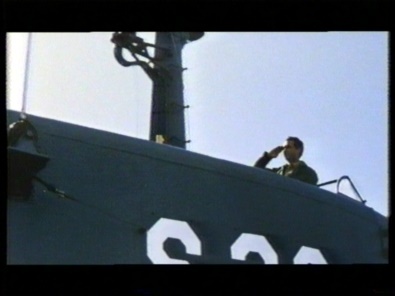 Michael Rennie is the last one waiting on the Stern of the S 22. 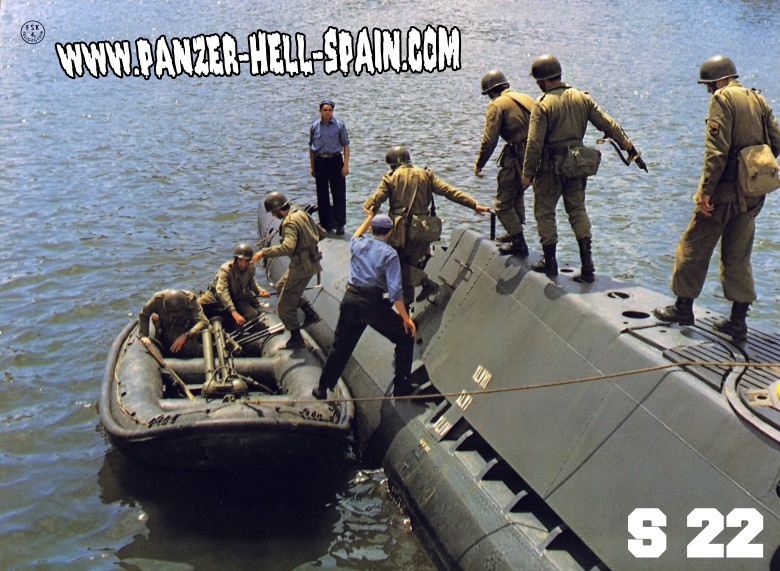 With the help of this great Set Foto (1968) it is clear that they simply filmed the scenes in the Harbour of Cartagena, precisely in the Base de los Submarinos! Keep an eye on the buildings in the background (skull). Modern Submarine in the Harbour of Cartagena. Compare the buildings on both photos! 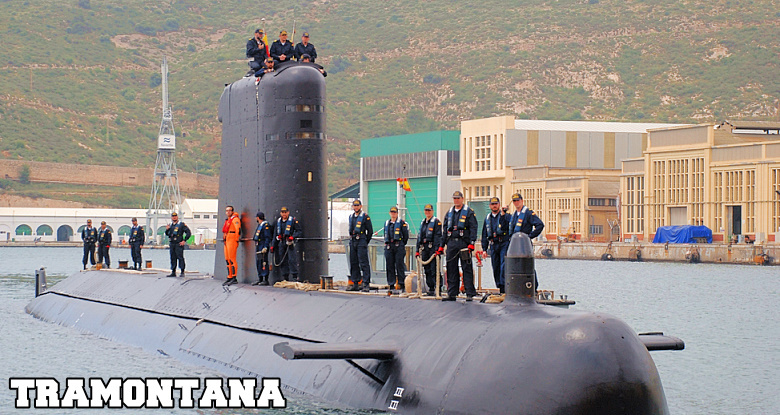 The Submarino S 74 "Tramontana" in the Base de los Submarinos de Cartagena. the "Tramontana"! 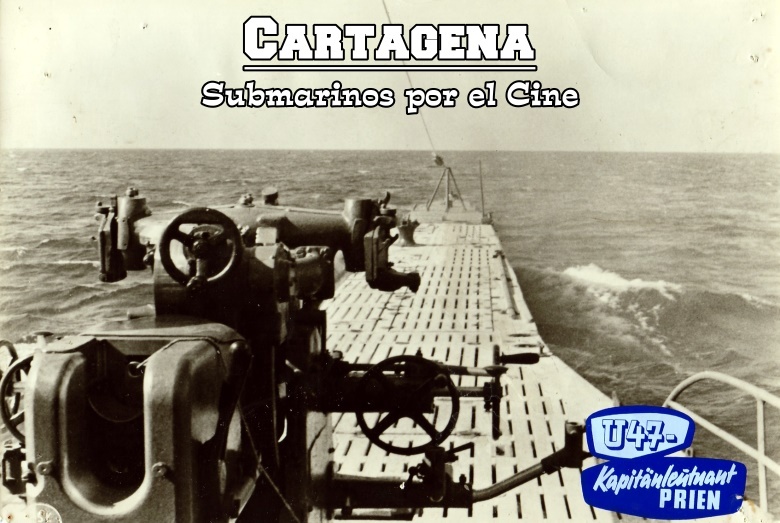 Another "Submarino del Cine" in Cartagena! 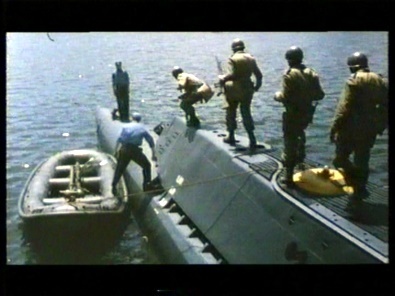 Other "Navy Seals" Scenes have been shot in the town of Cartagena. 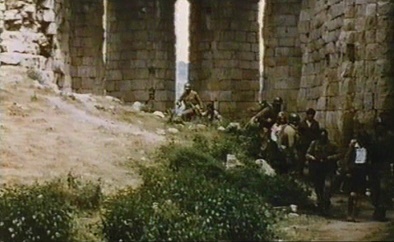 "Junio 44" Movie Scenes with the S 22. 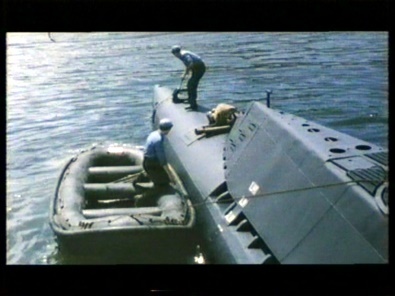 The S 22 was scrapped (1971) only a few years after her first steps into the movie business. "The Dirty Seven" on a little ride in a rubber dinghy. All these scenes including the beach scenes (Normandia!) were filmed very close to or directly in the harbour of Cartagena. 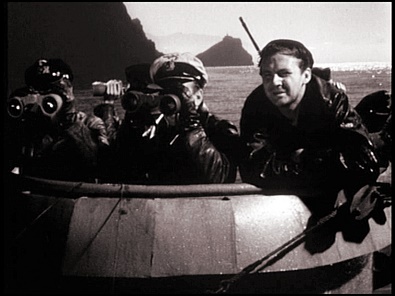 German Lobby Card of the movie "U47 - Kapitänleutnant Prien" (1958) showing the G-7 submarine. 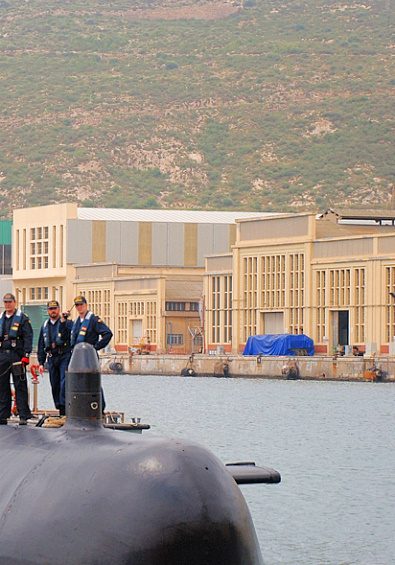 The german ARCA Company rented the G-7 submarine from the spanish navy. 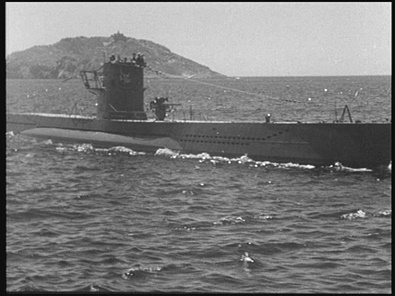 The G-7 was the old german World War II submarine U573 which was still part of the spanish navy in 1958 (later re-named in S 01) and of course perfect for the movie. All "U47" Movie scenes with the G-7 were filmed very close to the Cartagena harbour. "Scapa Flow" is the Costa Calida with the "Isla de Escombreras" in the background. The S 01 (G-7) of the spanish navy. Formerly the german World War II Submarine U573.